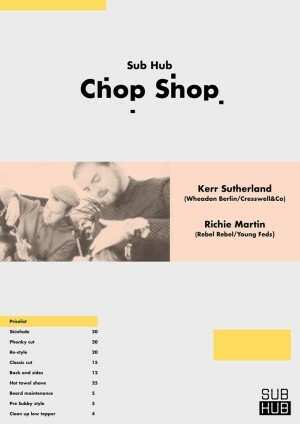 For the next couple of weeks Kerr Sutherland and Richie Martin will be located in the Sub Hub Glasgow, high above Buchanan Street, keeping Glasgow gents dapper and up to date with the latest trends. Last time the barbering duo collaborated, they were styling and cutting hair backstage for the artists at Creamfields. 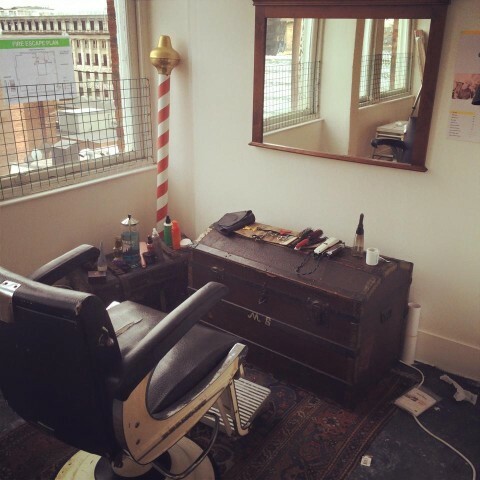 As well as working in Cresswell & Co, Kerr has recently returned from Berlin where he has been plying his trade in a top Berlin barbers. Richie has been showcasing hair throughout the UK for two years. And this year as part of the UK artistic group The Young Feds Art Team as well as working for the Rebel Rebel wee rebel team in the city centre.